Pol Sambol was my favorite dish during my visit to Sri Lanka. It goes with almost everything and reminds me of coconut salsa. Traditionally served with most meals with buttered bread, in a roti, or as a side dish with legume curries. 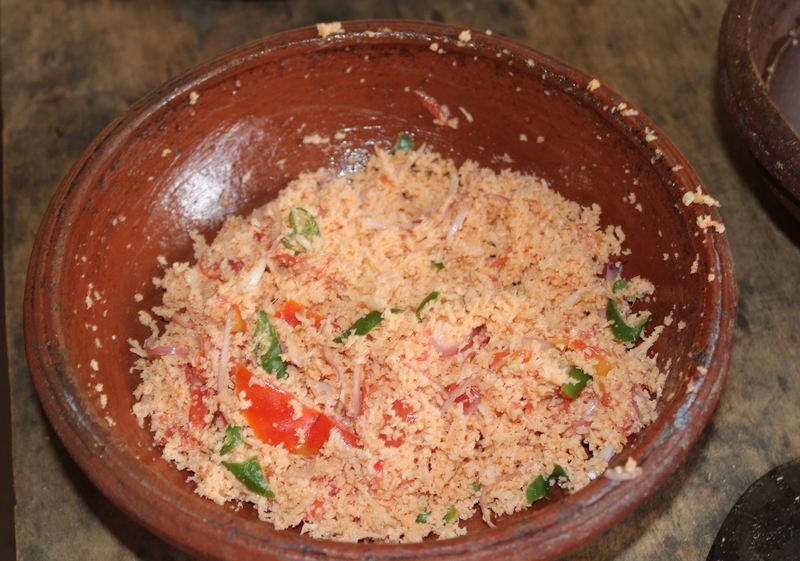 It can also be served with stringhoppers or as a side dish with red rice. I personally like to eat it with chips as a salsa dip. Crack the coconut and drain the water. 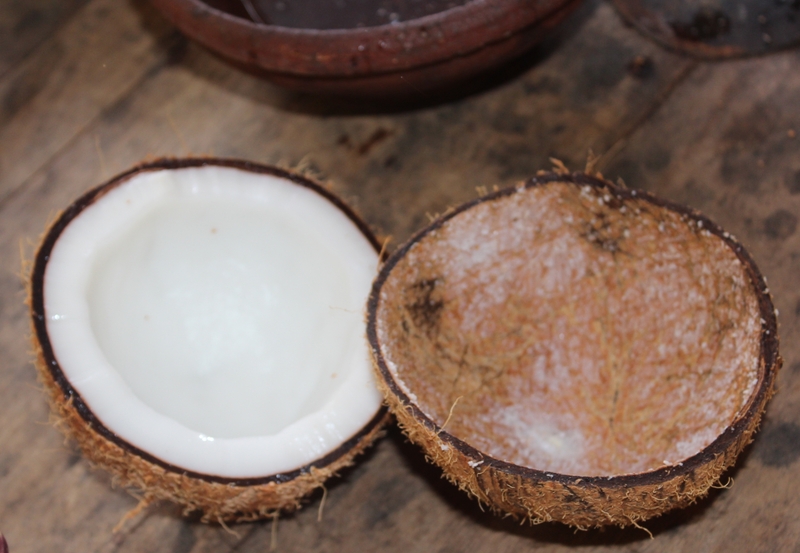 Shave both halves of the coconut into a bowl (you can find coconut shavers online, in a pinch, I used a lemon zester). Place onion, chili, garlic, chili flakes, chili powder, curry leaves, and Maldive fish flakes in a food processor* and blend. 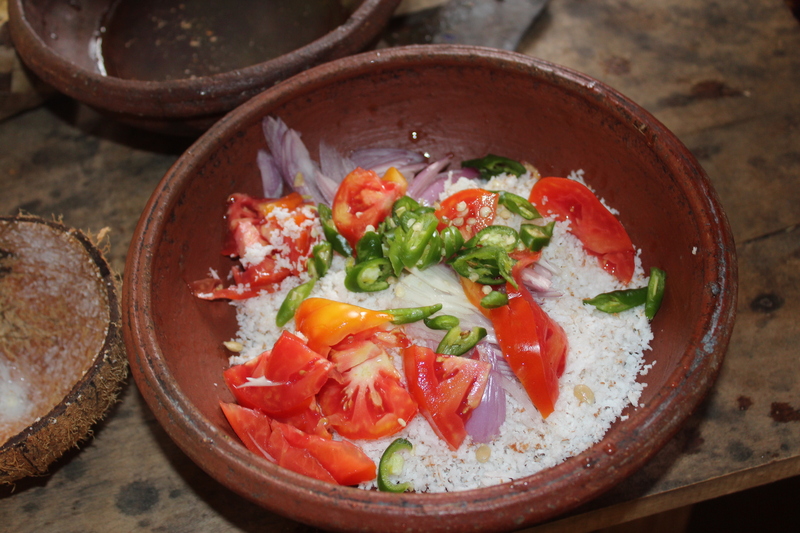 Add blended ingredients to the bowl of coconut along with the salt, pepper, and lime, mixing well. 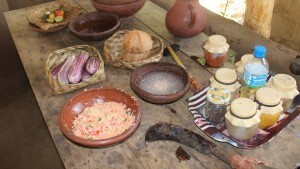 * You can use a mortar and pestle for a more traditional preparation. Just ensure your onions are finely diced.